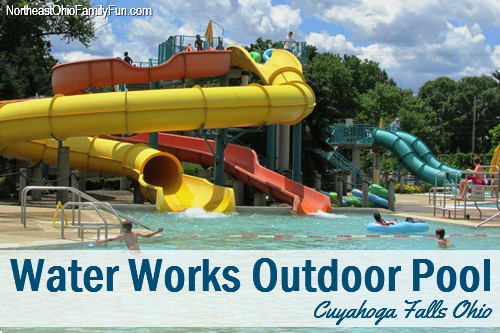 Water Works Park is a HUGE park located in Cuyahoga Falls and is the home to numerous ball field, reservable pavilions, walking trails, a hike and bike trail and a large playground. It's a great destination for a short trip to the park or would be a great spot for a birthday party or family gathering. 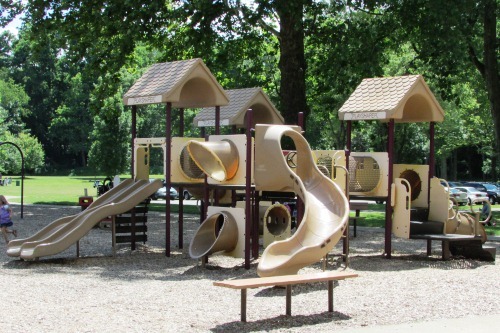 The playground area is very clean and well maintained. 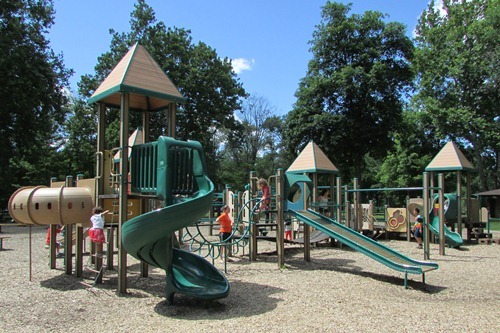 It consists of a variety of plastic slides, climbing structures, platforms, bridges, monkey bars, balance beans and more.. The toddler area of the playground consists of a slightly smaller structure with lots of things to keep little ones busy. There are also many benches nearby so parents and sit and take a rest while still maintaining sight of their children. The playground also has a number of swings available. 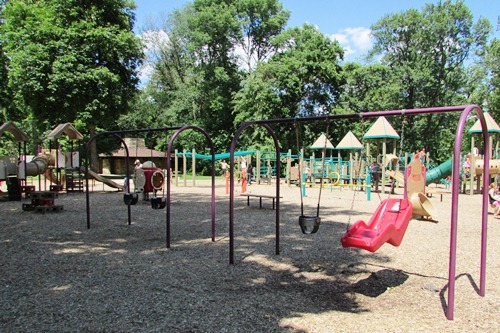 The swing set above has both infant and accessible swings, and there is also another that has 6-8 regular swings. 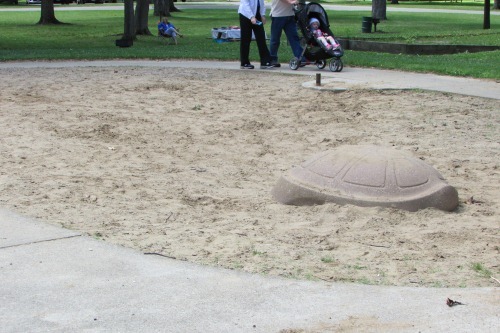 There is a large sandbox at one end of the playground. 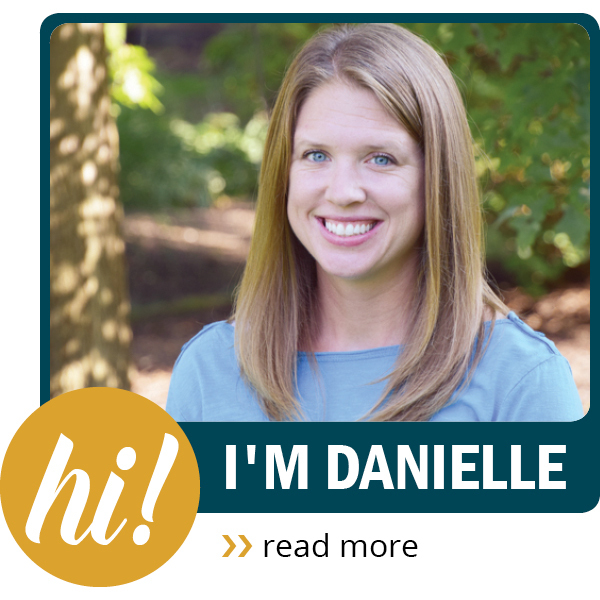 If your children like to play in the sand, be sure to bring some shovels and buckets. While the park has so many great features, my favorite is the large trees and green space. 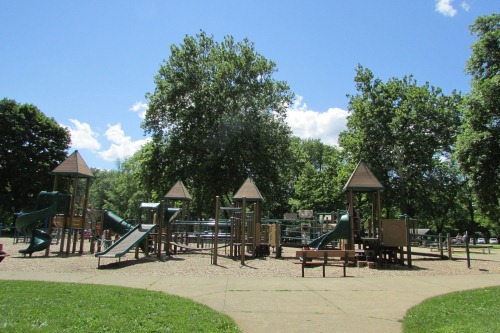 The trees keep the sections of the play area shaded and cool from the hot summer sun. 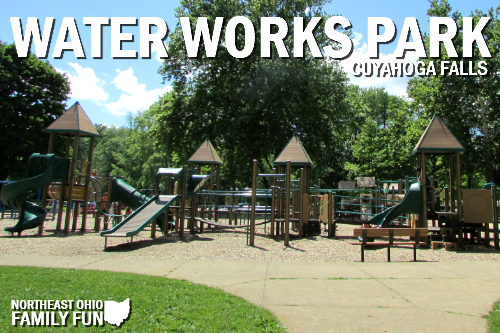 In addition to the playground there are many fun things to do at Water Works Park. 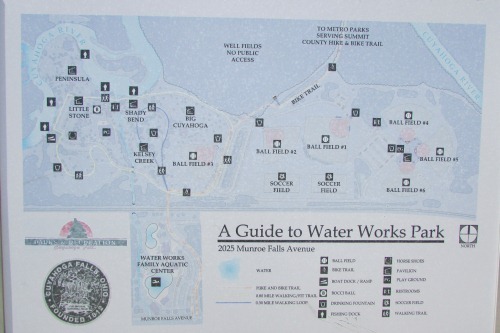 The map above shows the layout of the park, including the location of all the ball fields (baseball and soccer), the walking trails, the bike trail to the Summit Metro Parks, Fishing areas and more.